Knowing your catchers gear is important. The more you know it, the better you will be at utilizing it. That is why in this article I want to discuss the main types of leather used to make catcher mitts and also which leathers the main catchers mitt manufacturers use. The main types of leather you will find in your mitt are: full grain leather, kip leather, leather or cow hide, and premium steer hide. There are a lot of other types but I will only be discussing the main types of leather you will find. So if you find a catchers mitt you love but the leather type is not listed here, do not think that it is an inferior leather type. When manufacturers leave the natural grain of the steer hide or cow hide leather, you will have what is known as full-grain leather. Leaving the natural grain on gloves, you will find the glove to be stiffer and heavier than other leather made gloves. This would also mean that you will have to spend a longer amount of type breaking in your new mitt. When you have spent the time breaking in your mitt, you will find that full-grain leather mitts are better in both performance and durability compared to other leather types. Kip leather is found in high-end glove due to its light weight. 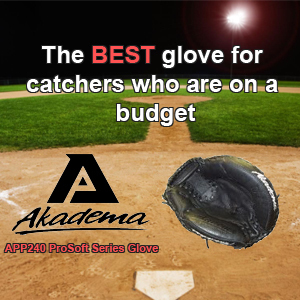 This lightness will help players speed up their transitions of the baseball from the glove to the throwing hand which makes it popular to players. Gloves that are made from kip leather are also easier to break in. It will be incredibly shorter to break in than a glove made from full-grain leather. Be advised that kip leather is a luxury cowhide that will increase the cost of your glove if you have to be wary of a budget. This will be your baseline leather for baseball mitts. Leather (cow hide) is mainly medium in weight but it can be heavier. This leather performs well but it also breaks down faster compared to other leathers. Leather (cow hide) breaks in relatively fast which makes it great for players who need a game day glove right away. This grade of leather will usually come ‘pre-oiled’ to help with the break-in time. Steer hide, is stronger than cow hide. Gloves made of this leather tend to be stiff and somewhat heavy, with longer break-in periods. Steer hide is a premium-level material used in baseball gloves that is a popular material for pro players. Gloves made from steer hide are stiffer, heavier, and more durable compared to other types of leather. What gives this leather its strength is where this leather comes from on the steer. Steer hide is taken from the back shoulder of a grown steer. 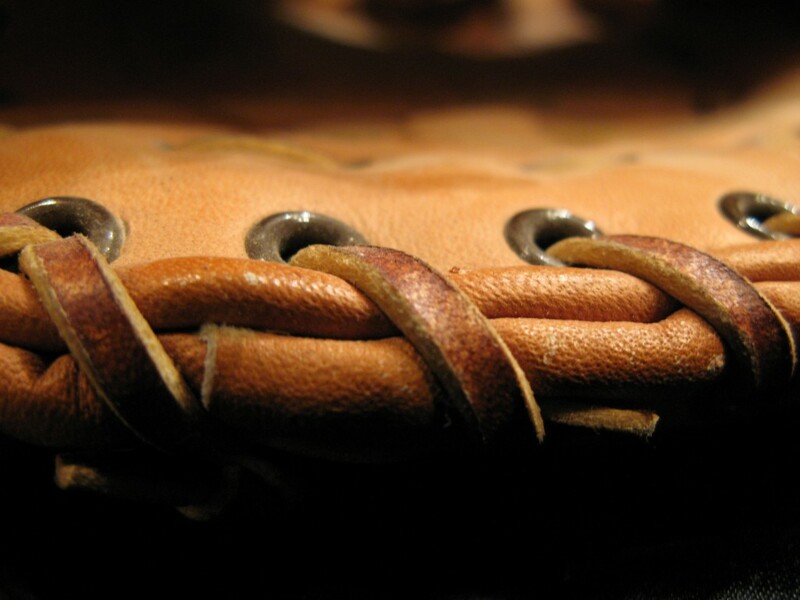 Expect a long break-in process if you choose to buy a glove that is made from this leather. Here you will find a list of glove manufacturers and which types of leather they make their gloves from.